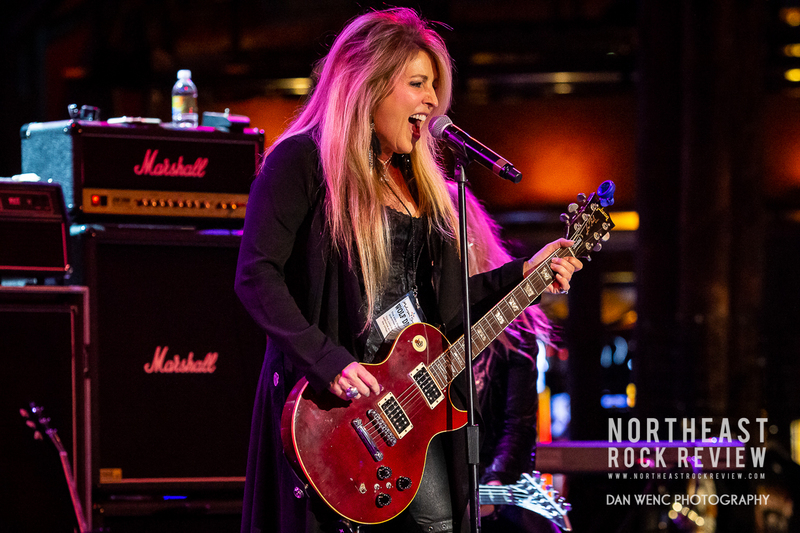 A good crowd on a Sunday night coming together for great music at the Mohegan Sun Wolf Den, a free show and the Wolf Den always has great entertainment lined up. 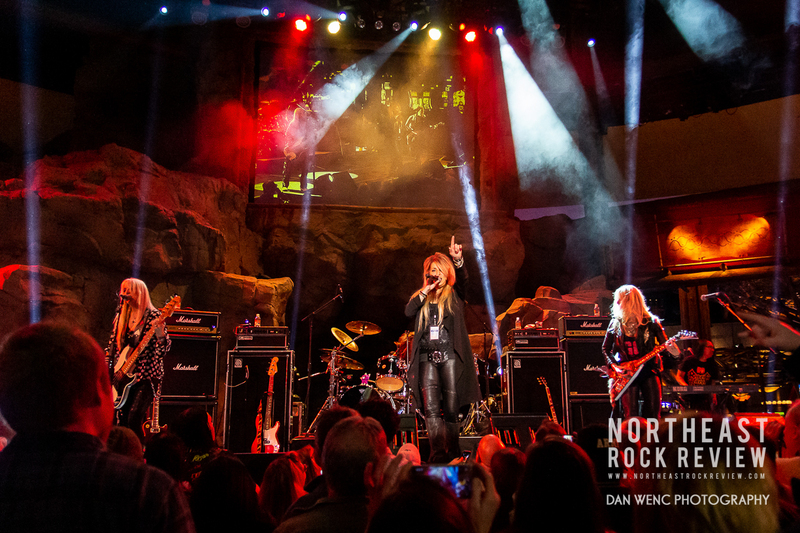 The stage was set that night for Vixen to perform one last show in 2018 in front of a room full of Vixen faithfuls. 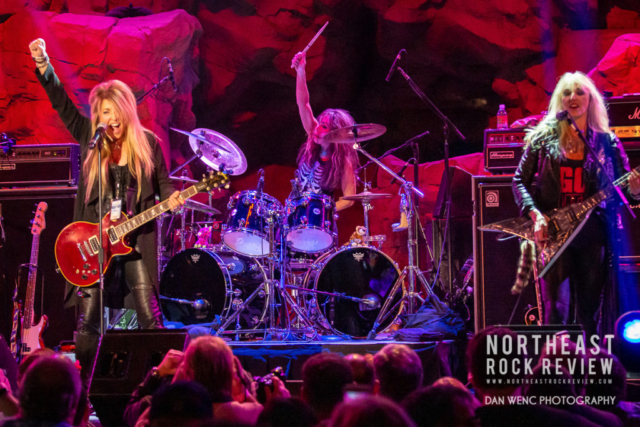 That past weekend wrapped up the 2018 tours for the band, with this one last show at the Wolf Den that night. 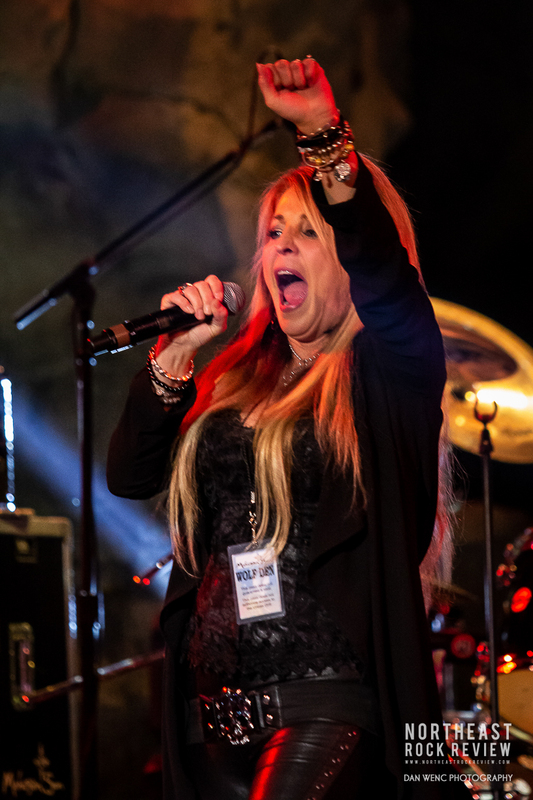 The thing about 80’s era rock fans and bands, is that both are equally loyal when it comes to the music passion for the music and the live concert experience. There is probably no other group of fans that consistently come out to see the bands they grew up with over and over and over. On the other hand, most 80’s era rock bands that are still out there have been consistent in touring for the fans. 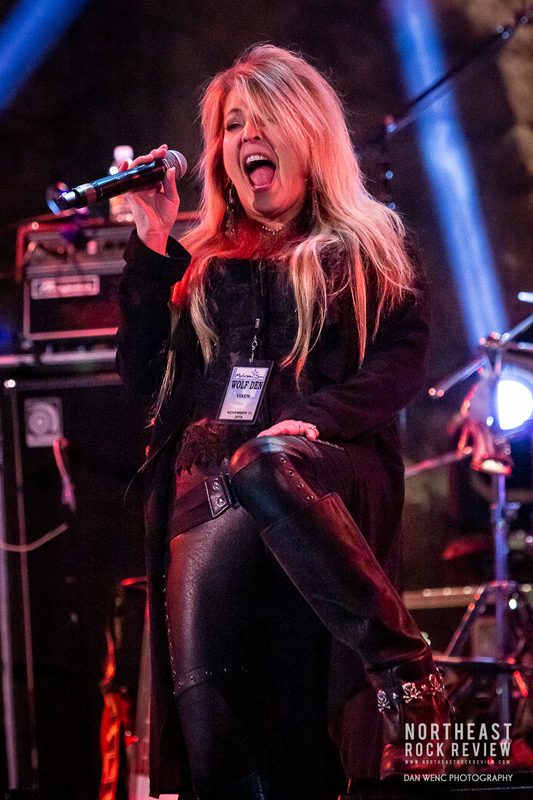 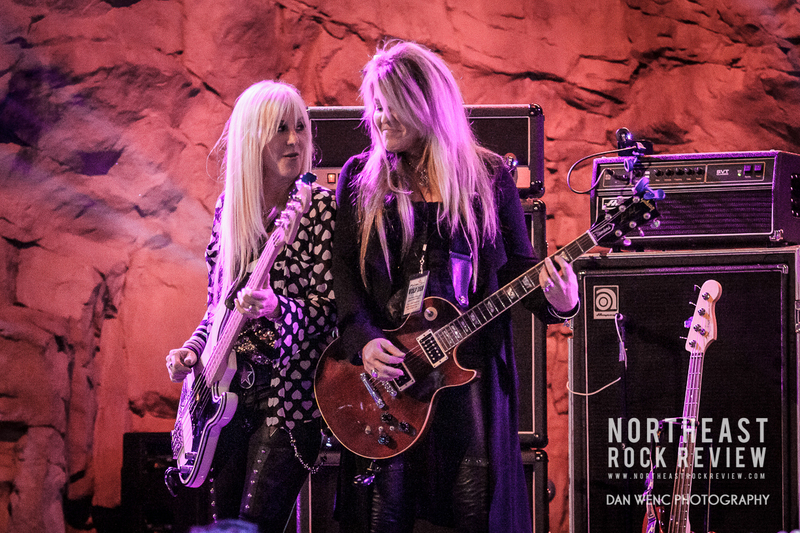 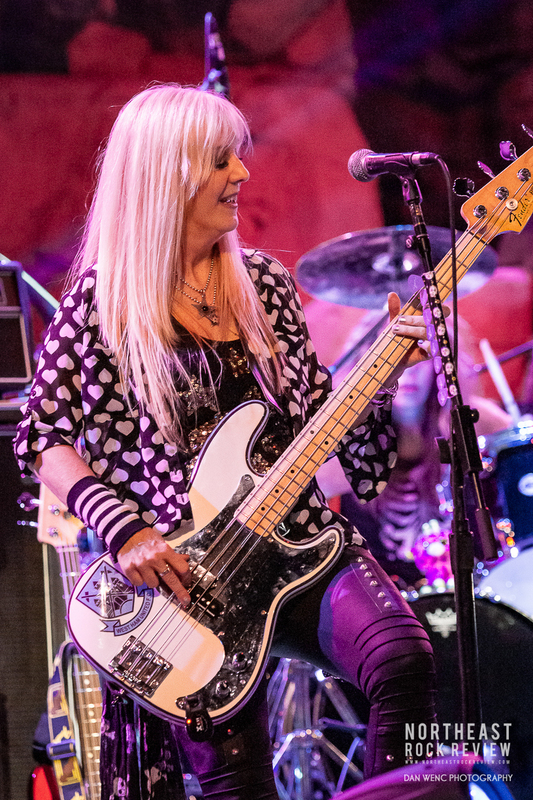 Vixen is one of those great bands of the 80’s that has historically been out there on the road lately. We all thank you. 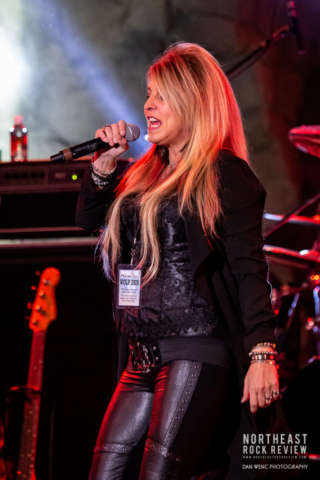 Whether you have heard the songs ten times or ten thousand times, it doesn’t get old for the 80’s rock fan. 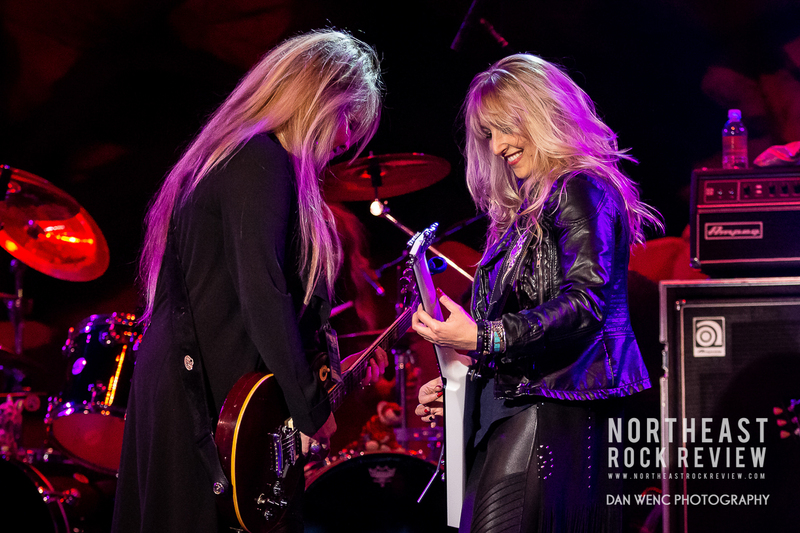 The night kicked off with “Streets in Paradise”, “Rev It Up” and “How Much Love”. Connecticut local, Janet Gardner sounded top notch that night, the entire band sounded great and could that they were really in a groove together as a music machine. The set continued with “Cruisin” and “Cryin”. 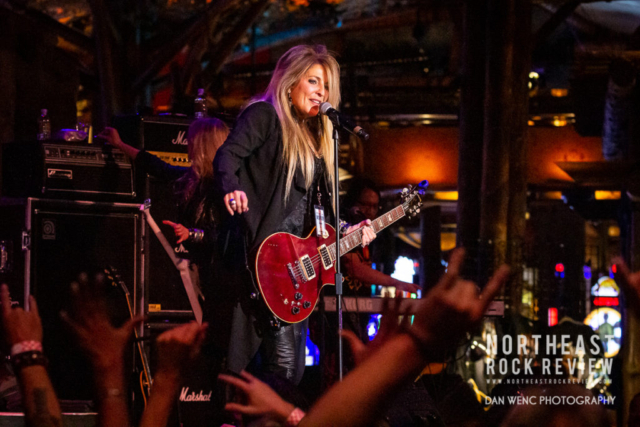 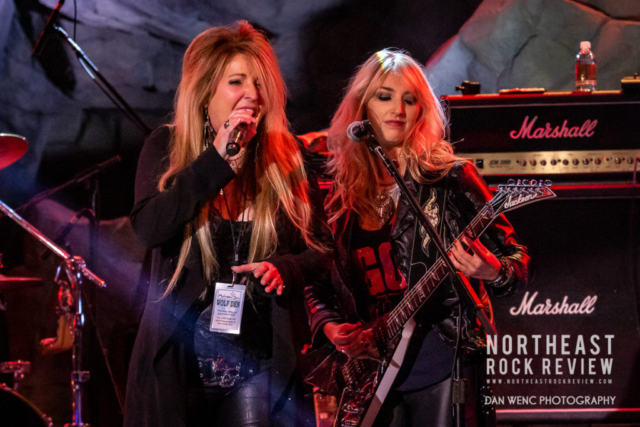 Janet took a few moments throughout the show to pay tribute and remembrance to band founding member, guitarist Jan Kuehnemund, who died from cancer in 2013. 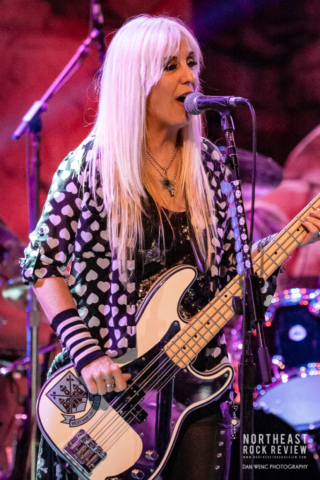 The band played a song that they said that they recorded and had never played live in over 30 years and that was “Only a Heartbeat Away” from the Rev It Up album. The song was well received, and was nice to hear the set changed up. You could feel the passion they still have for the music in the way Janet spoke and they played together as a band. 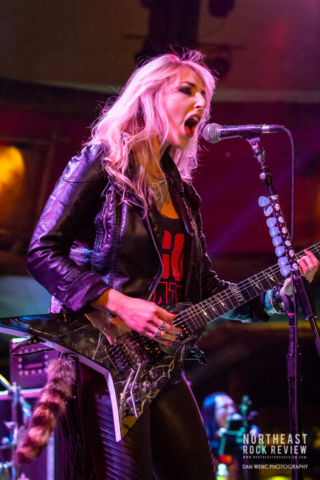 Vixen is a show that never disappoints. 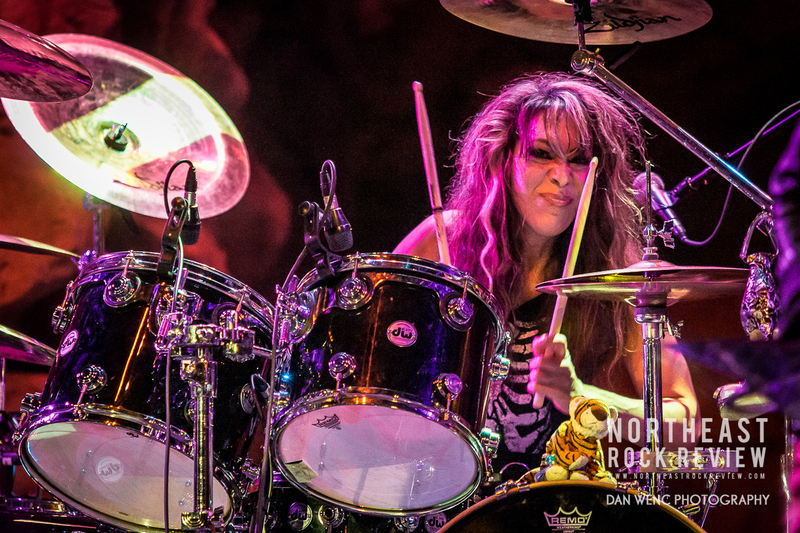 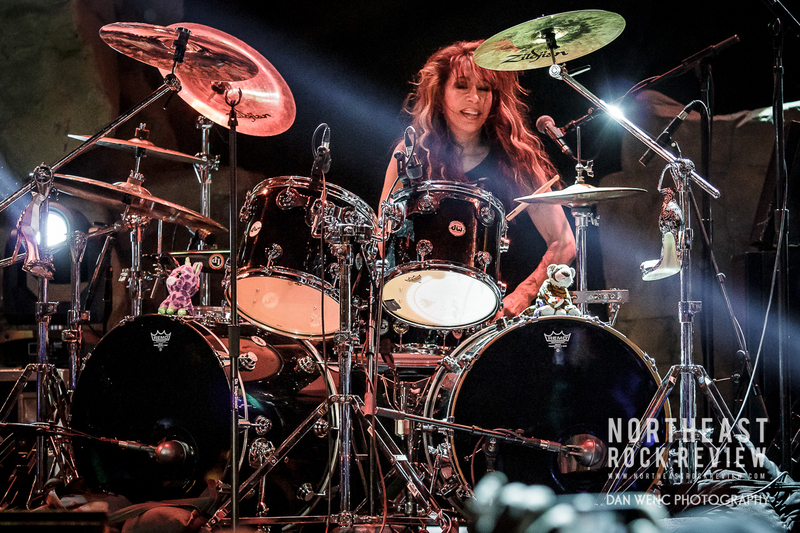 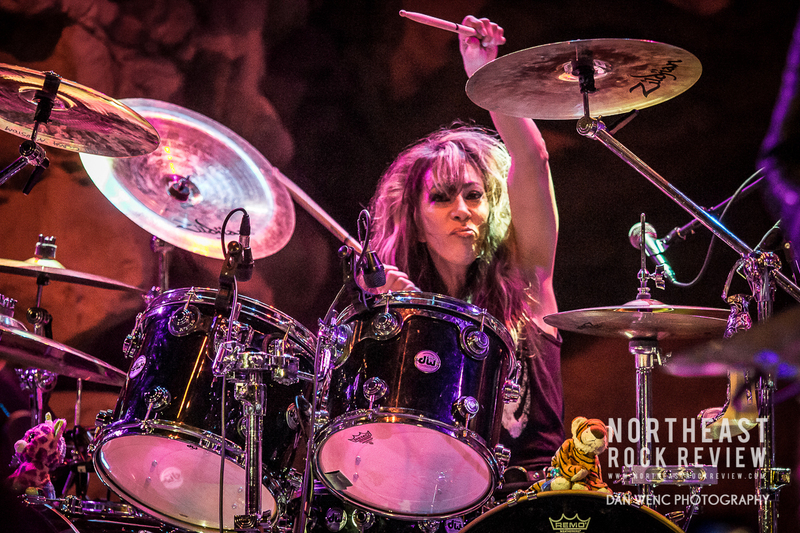 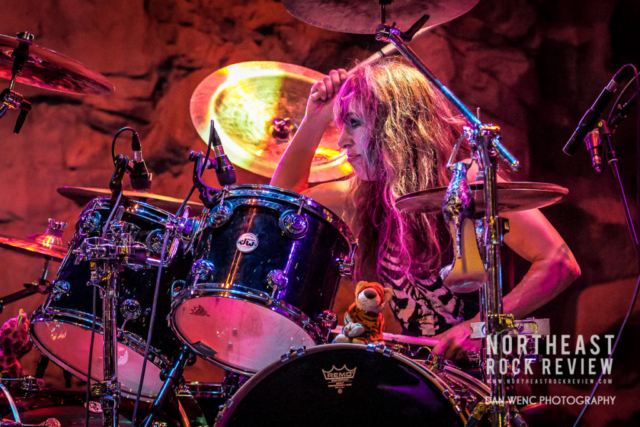 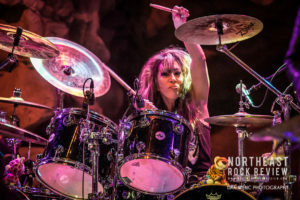 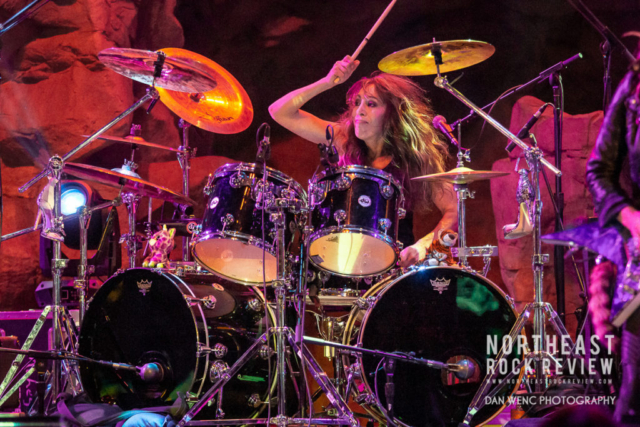 Next up was a short drum solo by Roxy Petrucci, which lead into “I Want You to Rock Me” into a version of Deep Purple’s “Perfect Strangers”, and then closing it out with “I Want You to Rock Me”. 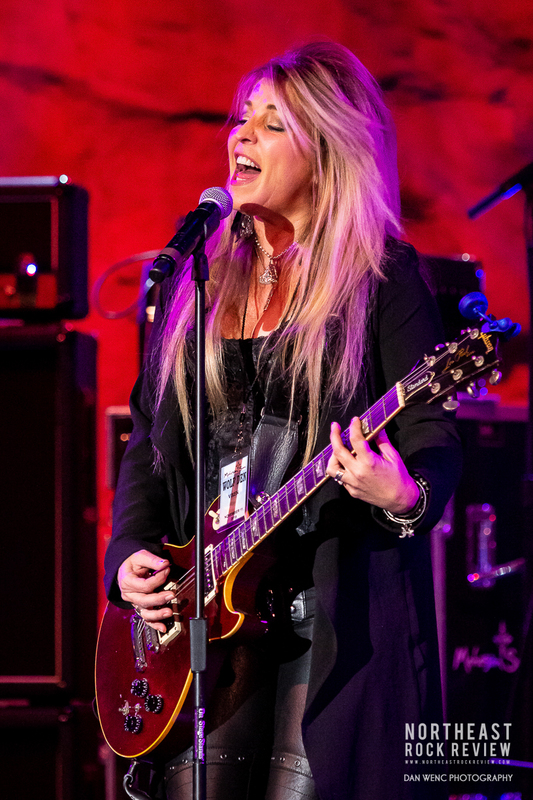 The band looked and sounded great. 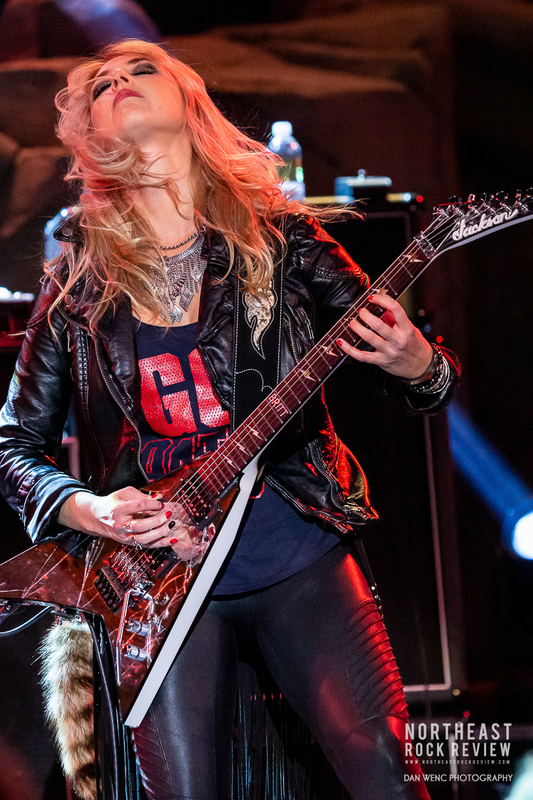 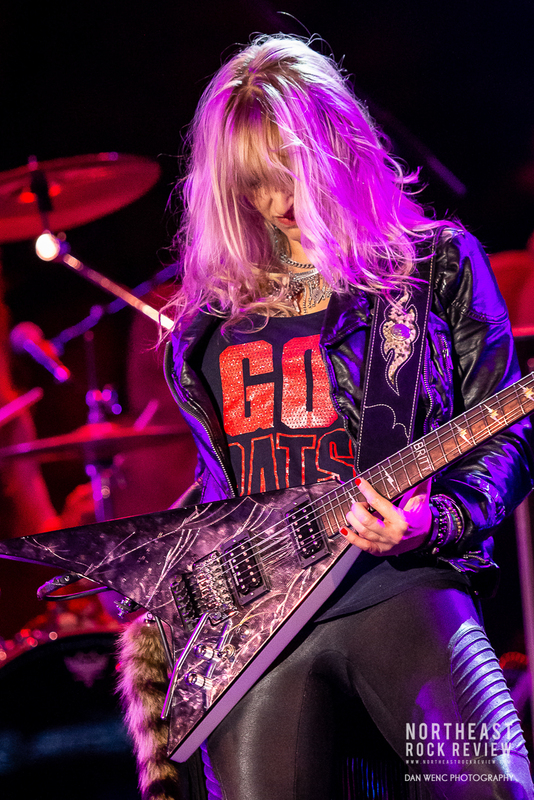 New England native, Britt Lightning, was sporting her “GO PATS” shirt and a custom Jackson Flying V guitar. 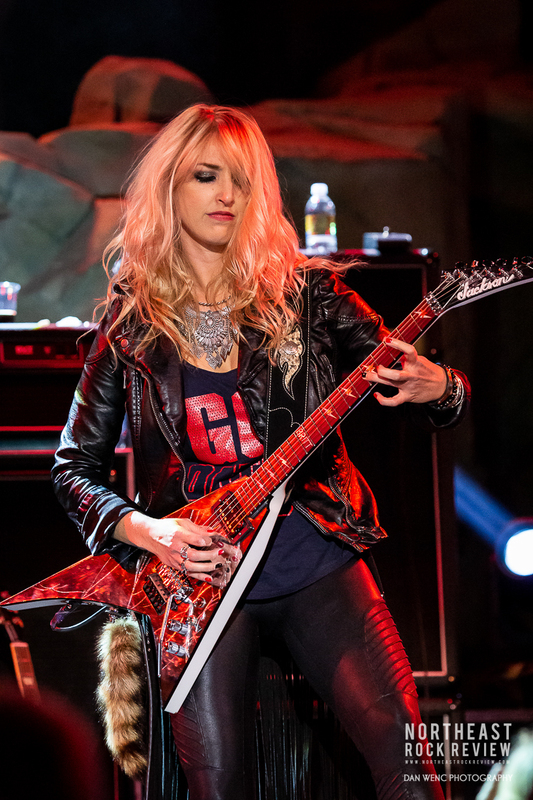 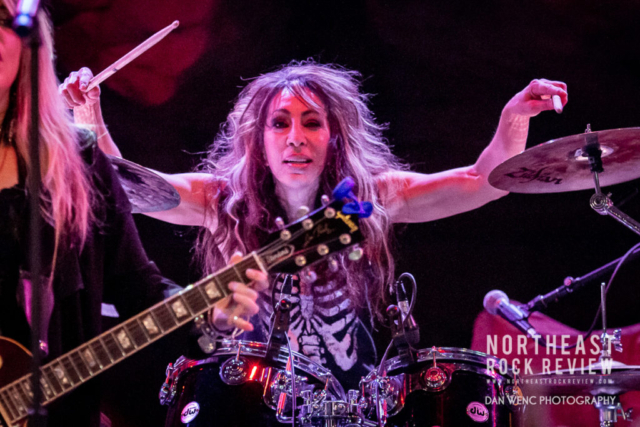 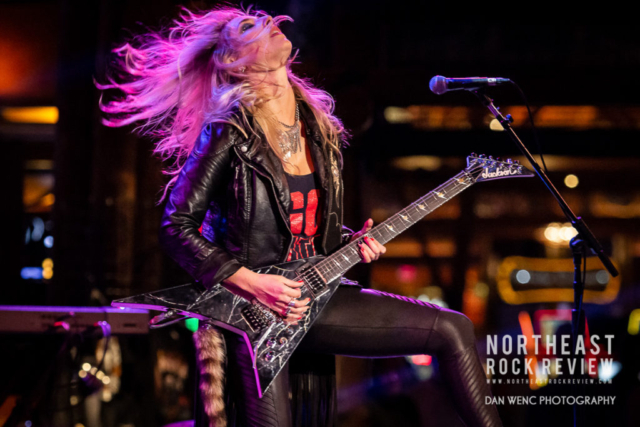 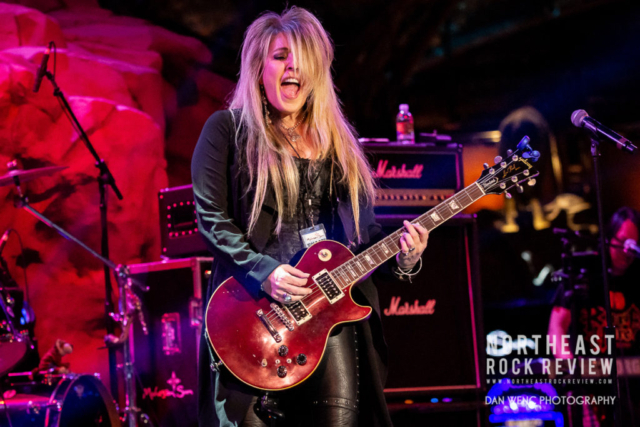 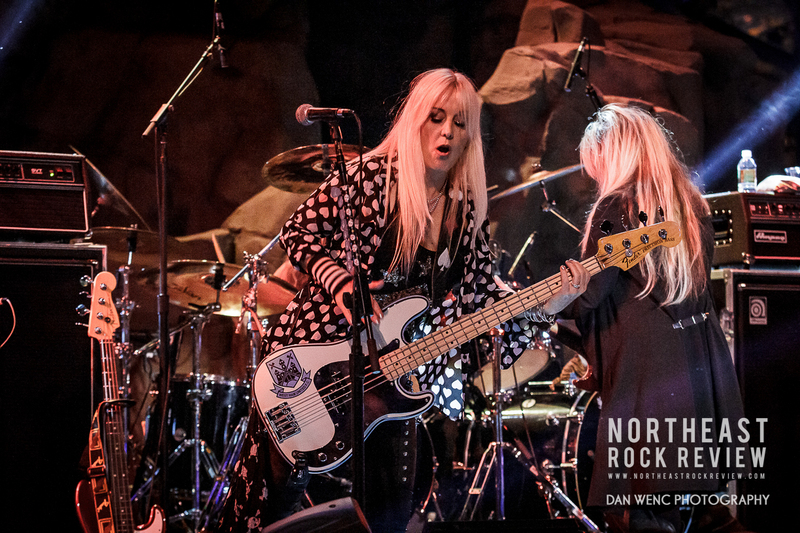 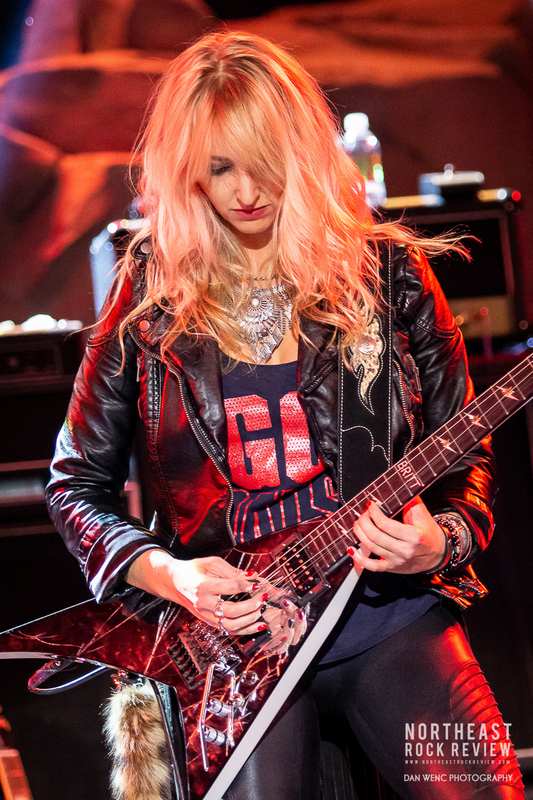 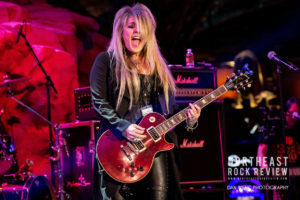 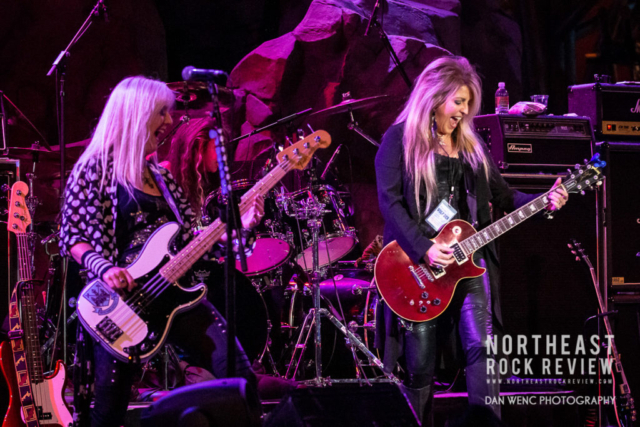 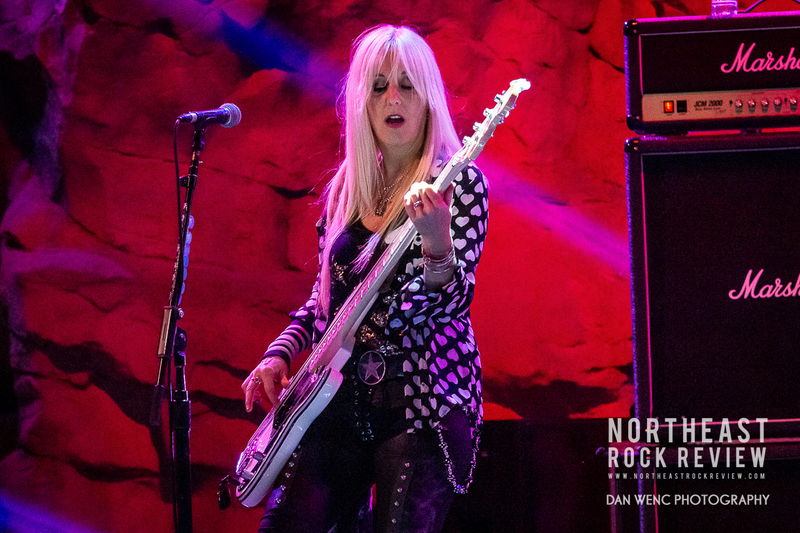 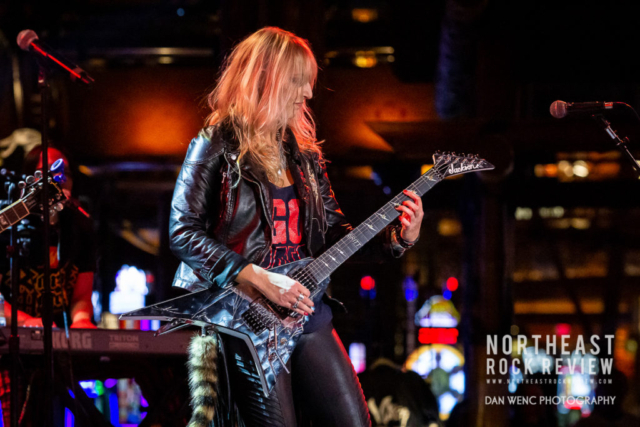 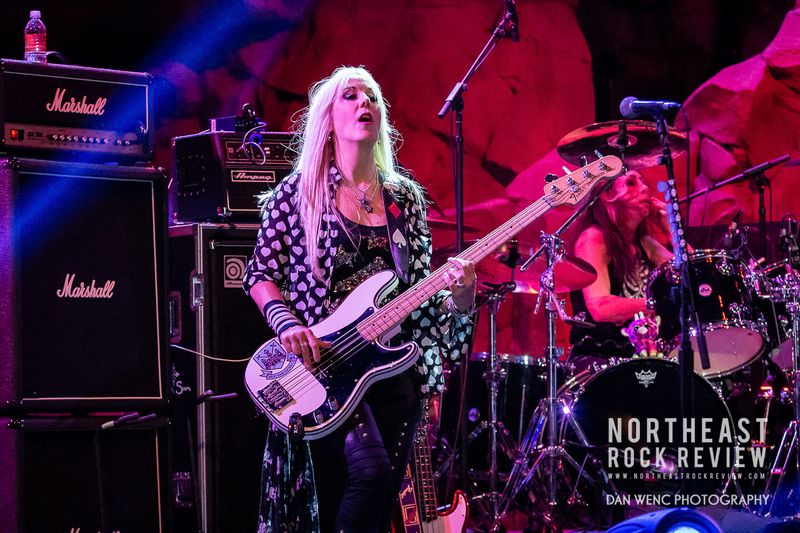 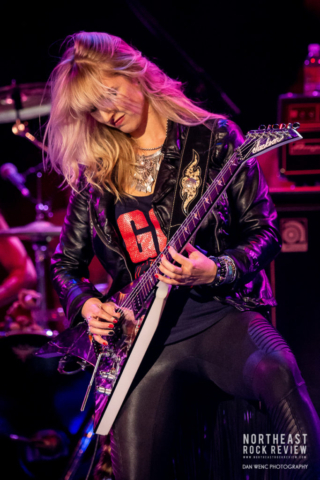 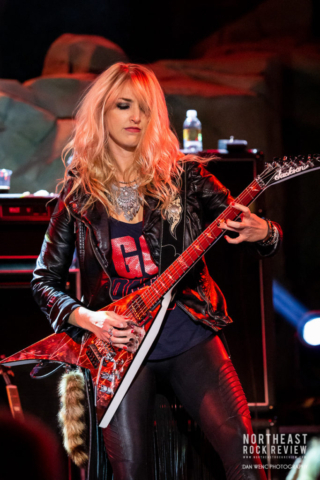 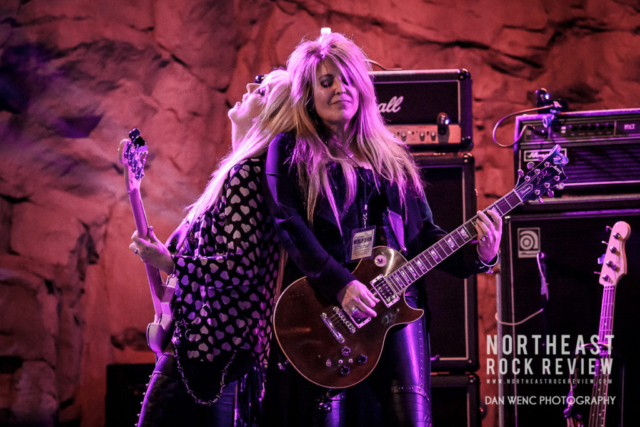 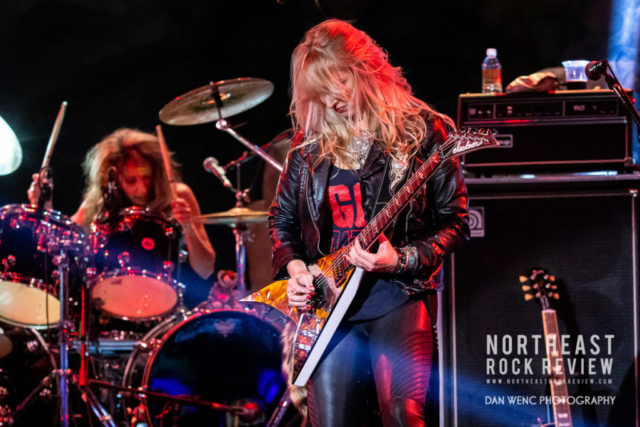 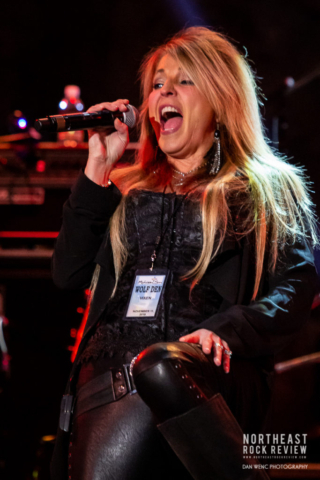 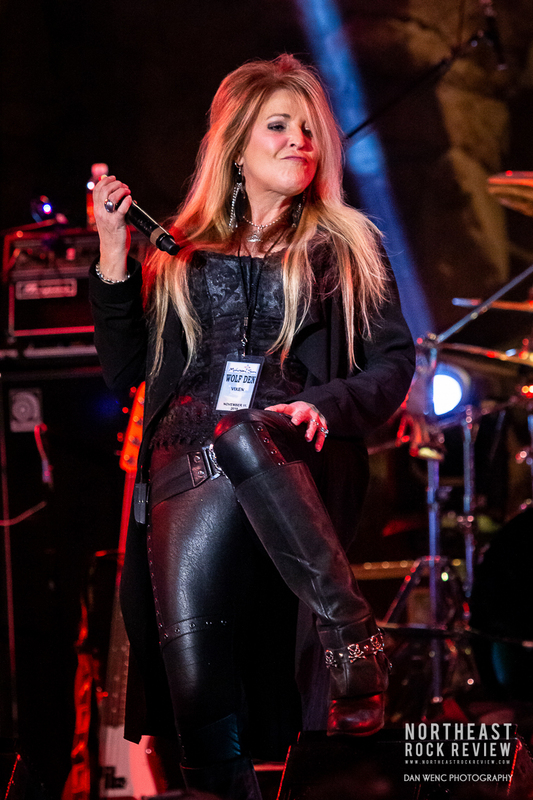 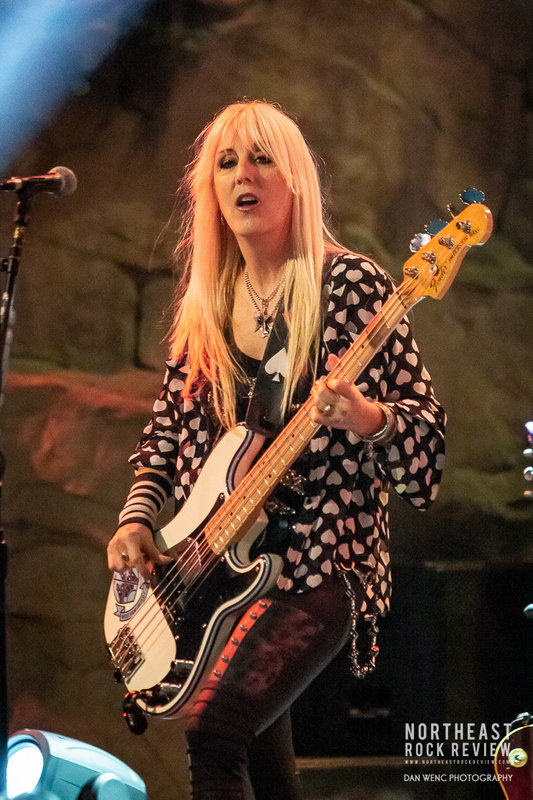 Britt, who has been playing guitar for Vixen since 2017, has become a great asset to the band and is a perfect fit for the future of the band. 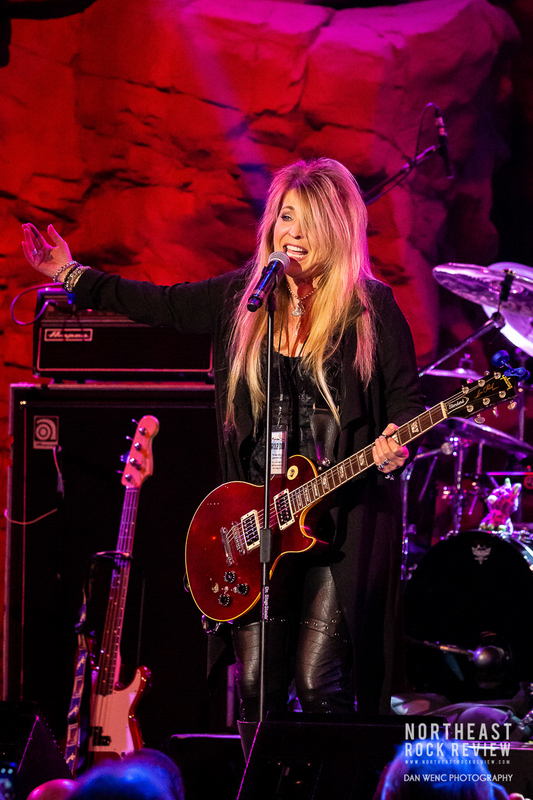 Share Ross took to the spotlight and vocals with “I Don’t Need No Doctor” and then Janet returned to the stage. 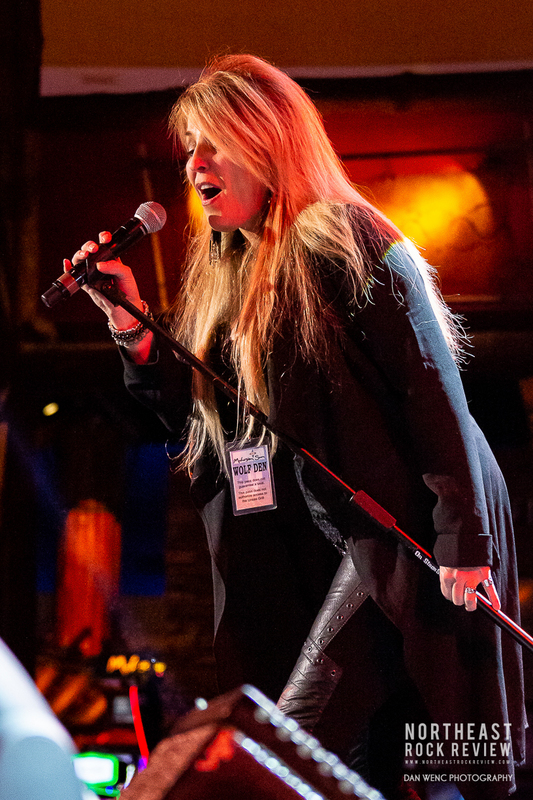 Janet set the tone with the next song, as a tribute to Jan, with “Love is a Killer”. 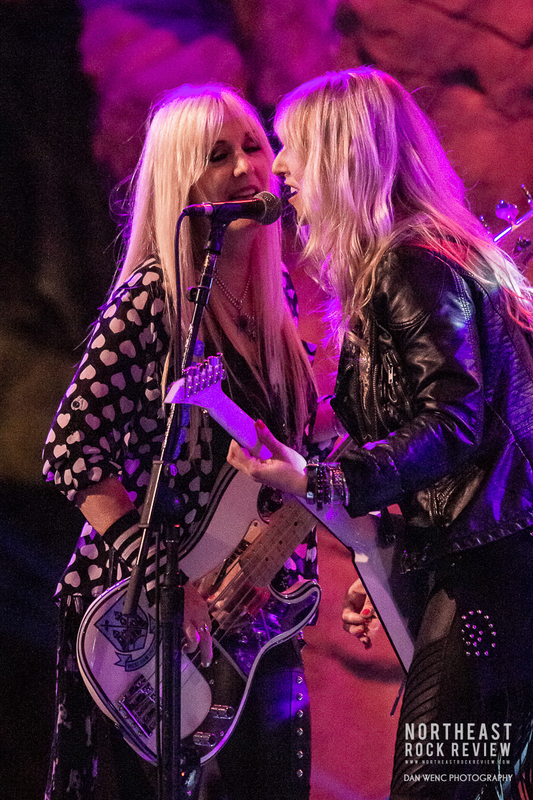 Followed up with a new song, “Love Made Me Blind”, from their latest, new live album Live Fire. Janet said that the band needed to play more shows at the Wolf Den. 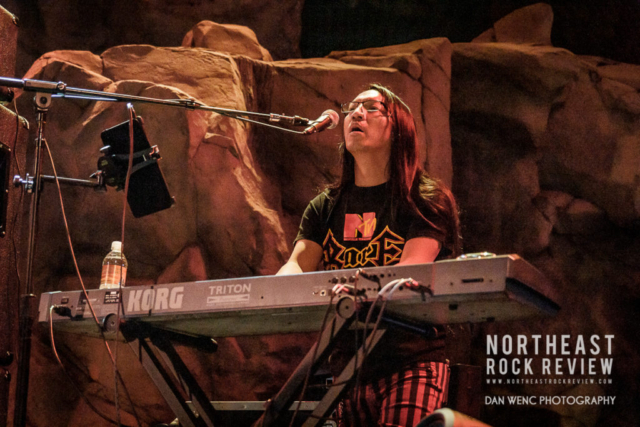 I think we can all agree on that.The night concluded with a keyboard intro from Tyson Leslie, on keyboards, then into the intro of “Edge of a Broken Heart”, to conclude the night. 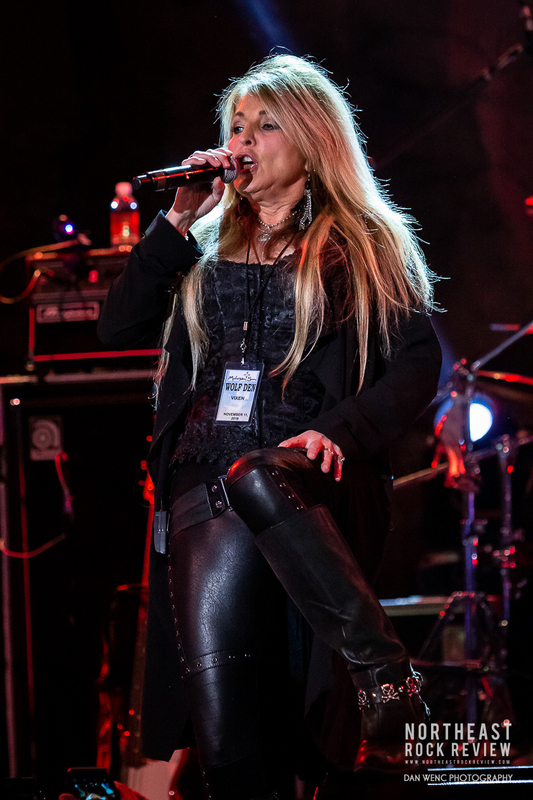 Overall a great show and always great to see Vixen out on the road sharing their music with the fans. Keep an eye out for more tour dates and 2019 and pick up the new live album if you have not already.